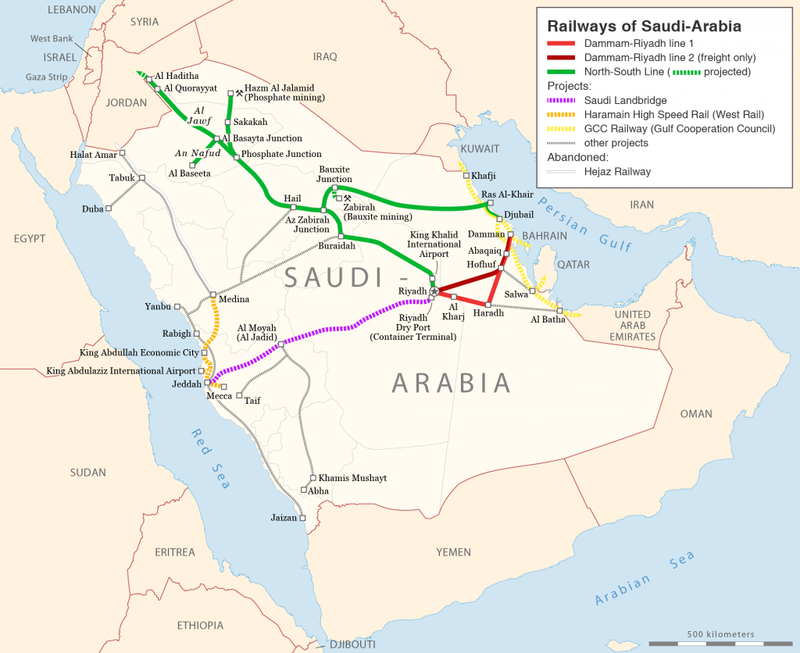 A Saudi Railway Company Push-Pull train, which operates on the line. Credit: CAF. 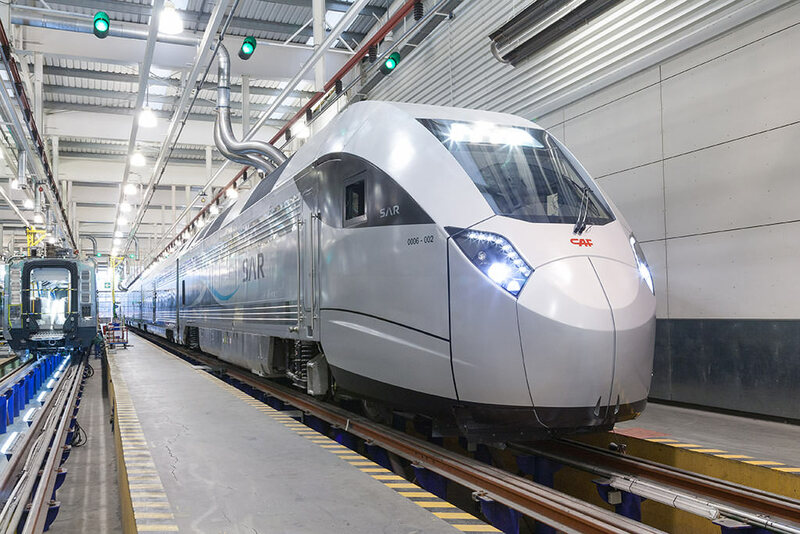 Thales has signed a two-year deal with the Saudi Railway Company (SAR) to maintain signalling and telecommunication systems for the North-South line. The contract also includes maintenance of electromechanical systems and knowledge transfer for the 2,400km project. Maintenance activities – including of the ECTS Level 2 signalling – will be conducted by Thales engineers and technicians from eight bases along the line. Knowledge transfer will be conducted through a curriculum of training at Thales’ UK factories so that SAR teams can gradually take over maintenance over the course of the two-year contract. SAR transports passengers from the capital city of Riyadh to Qurrayat, in Northern Saudi Arabia, as well as minerals from the mines of the raw phosphates and bauxite in the northern and central regions, to the processing and export sites on the Arabian Gulf on the line. The North-South line highlighted in green.